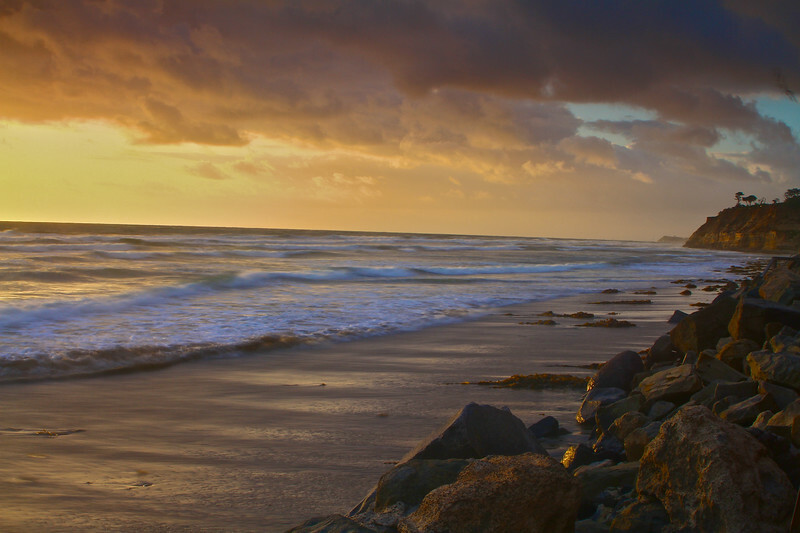 View toward the North Bluff Preserve from 29th Street in Del Mar, California. Around the bend to the right is the mouth of the San Dieguito River and Dog Beach. It was on an evening in May that I found myself in the area around sunset. The clouds diffused the light enough to create this dreamy look.